Cody Jenkins was mad. Killing mad! He had always been a peaceable man. He’d never killed a man, and the only fights he’d been in had been with his fists, and most of those, he hadn’t started. All he wanted to do was bust broncs and be left alone. 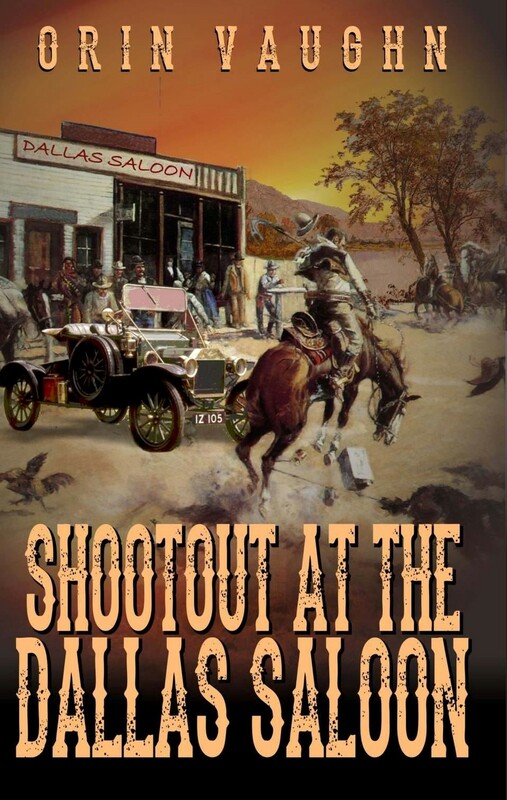 He had never been good with a pistol, and he didn’t have time to try to get good with one. The fury within him was burning as hot as a blacksmiths forge. 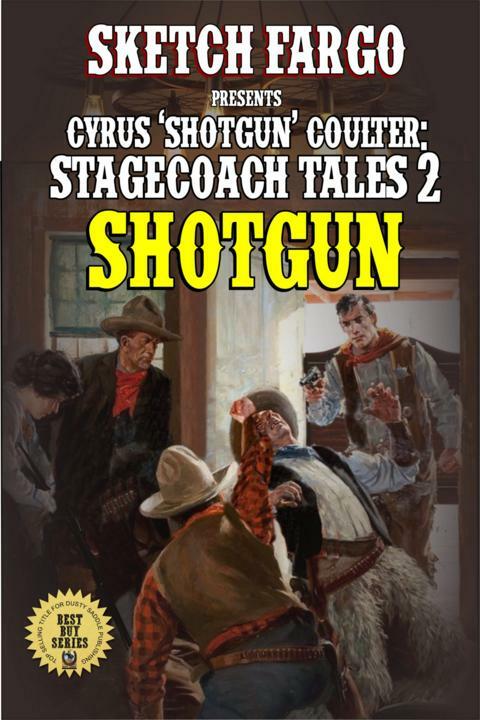 The shotgun on his hip would do the job, and those rustlers were going to wish they hadn’t mistaken him for someone else. They had opened this dance, and the tall cowboy was going finish it, even if he had to ride straight into Hell to do it. It didn’t much matter right now that one of those that he hunted was a woman. She was the one that caused all of this, and she was going to pay with a belly full of lead shot. Dan had been shot dead and she lay still in a pool of her own blood. The children, Neil and baby June had saved her life. June staying by her side as Neil saddled a horse and rode four miles bringing back the doctor. Lord that seemed so long ago, but the two years since had pasted very fast. 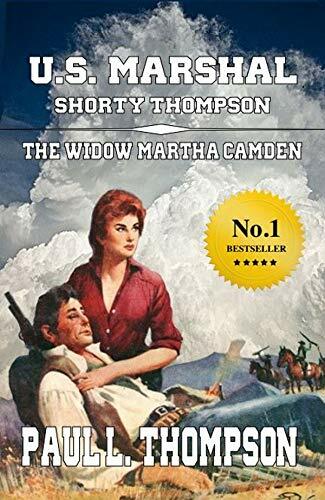 She was well and strong enough to go looking for those six men and kill every one of them and the man that sent them. Her gear was packed, she would want for nothing. Sometimes talent comes along that doesn’t become a hit straight away. 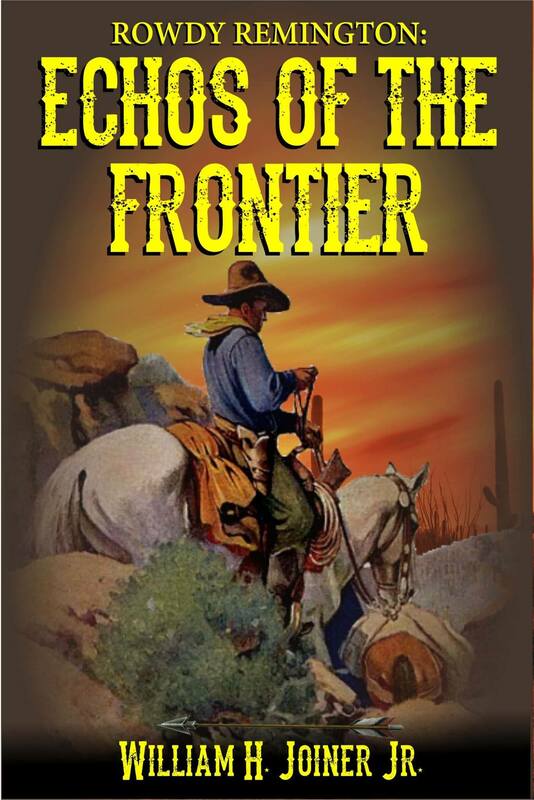 Take Mike Hundley, for example, a truly exciting writer who has written four Westerns we knew readers would enjoy. We just knew readers would go ga-ga for Hundley. He has this way of writing with a personal touch you don’t find too often. However, his first two books were released a couple of years ago and caught on… but then dropped off. Hot to cold in thirty days. Mike, not being a wilting wallflower, wrote another book—same thing happened—it caught on, went cold, and we all scratched our heads. The fourth book came out—caught on, went cold. Four books that some readers enjoyed, but most ignored. Earlier this year we decided on an ambitious project—the reissue of all Hundley titles. A few changes here and there, plus brand new covers from the greatest of all the current Western cover designers, Kevin Diamond. We felt confident we might be on the right track. The forewords were written, the keywords tweaked, the covers were on point, the content was perfect. The first two books hit hard and are currently hitting harder than ever before. Hundley, a modest man, sends me a note saying his numbers spiked. Why? He was number one in Australia. Since then he has been making a huge impact in the United States with over 25,000 pages read daily. Two of his books are sitting pretty in the top forty with two others waiting for their turn in the summer sun. The Hundley explosion isn’t some gimmick, either. 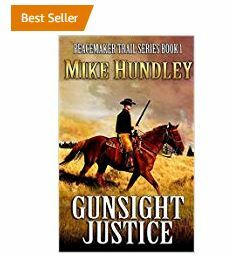 Readers are truly enjoying his books and sharing a plethora of positive reviews that tell the hardest-hearted author or publicist that future Hundley books may be just as well received. So, you may be wondering what the point of this is—and I’m willing to tell you. Sometimes you shouldn’t just give up and go rest in the old folks’ home with a heavy heart. Retiring ain’t fun. Sometimes, most times, if you didn’t hit a home run the first time, you just have to turn over the apple and take a bite from the other side. Reconfigure the book and give it another chance. Don’t be a wilting flower! Sway along with the breeze and get those books that didn’t catch on reissued with a new look, a new style and give it another go. Got a question for you. 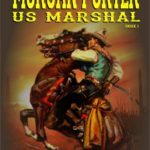 What Westerns are you reading currently? Send those reading suggestions over through the contact form below. You can also purchase both, big Mike Hundley hits by clicking here. Spring Has Arrived! 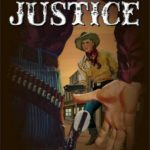 Isn’t It Time For You To Get Your Western Novel Selling? So, we all got to work. Writers wrote the books, editors edited the books, and we promoted the books. As of this blog article, those hits are springing up all over like flowers in the warming sun. 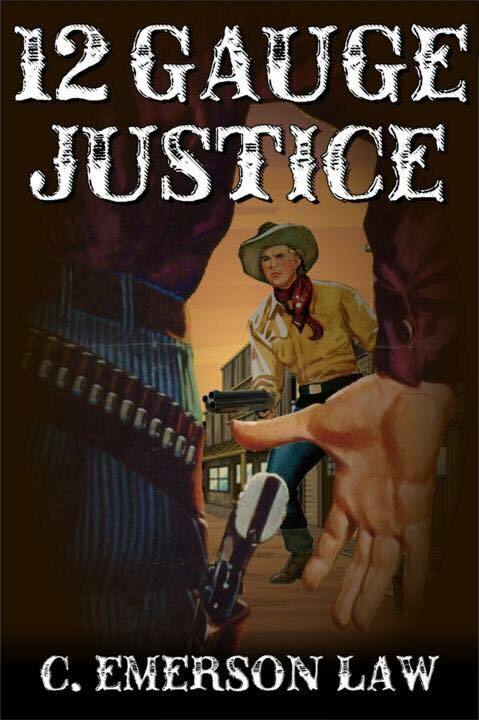 We have Gary Church with “Fate Rides A Tall Horse” and “Trouble on the Shawnee Trail.” We have Mike Hundley with “Gunsight Justice” and “Guns Along The Lost Canyon.” We have Robert Hanlon with his latest “Timber” smash. We have two, three, four, five new hit releases from Scott Harris, a new “C-Bar” from Mark Baugher, four brand new smashes from GP Hutchinson—“Cimarron’s Law” is his big Western hit of the moment. We have new books from Paul L. Thompson, new books from C. Wayne Winkle, we have a brand new Mike Mackessy box set. 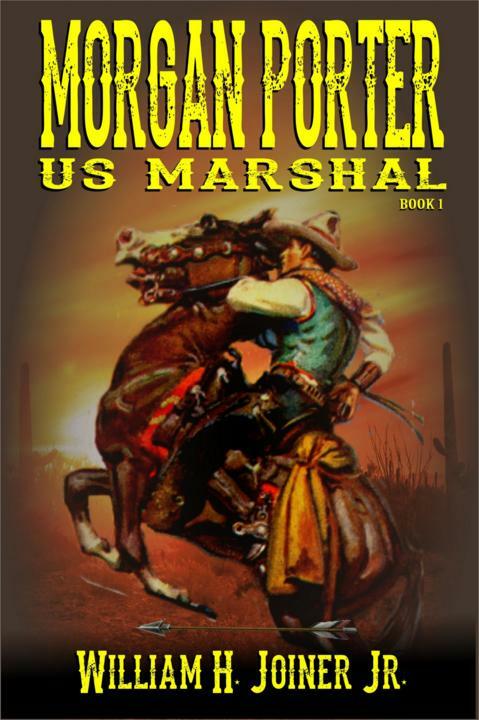 We have “Whiskey Trail” from Tracy T. Thurman, the “Gunfighter” trilogy from John D. Fie, Jr. Charles Ray, you’ll like him, he has a brand new series called “Jacob Blade: Vigilante,” and all of those books are moving, grooving and riding their way up the bestseller chart. We have new hits from John Buzzard, John Sammon, Sketch Fargo, and pleasingly we have two new big sellers from the mighty Cherokee Parks. Heck, the list goes on, and on and on. Frankly I could reel the hits off forever—and ever—and ever. There’s so much happening right now. As dismal as things were in those dark January days with the rain, snow, sleet and misery—this bright, shining Spring was in my head, and we all worked together to make sure that come Spring we had new flowers growing and new wonders to behold. And now I ask you—you’re a Western writer—you’ve got a book to get onto the charts. What are you doing to make sure your book grows into a mighty fine hit? Are you trimming your keywords? Are you making sure you have those ads working for you? Are you getting forewords from other writers to help promote your book? Are you developing new cover designs? What are you doing to make sure those readers have something to read? 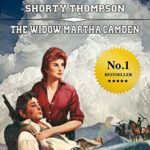 After Spring comes Summer—and as we all know, summer is a time when folks want Westerns to read. If you’re doing the above—that’s wonderful. I think you’ll see success. If you’re not, or you don’t know how to make your book spring into a seller, feel free to drop a line below and ask questions. You can’t do nothing. If you don’t know how to do it, I’m happy to help. Remember—folks seem to think that Westerns are a solitary business. Every Western author is on his own. Ain’t true! There’s nothing solitary about the business of selling Westerns. If your books sell—his books have a chance of getting read by your readers; If his books sell, your book has a chance of getting read by his readers. It’s a work-together-kind-of-thing. Now, that said—go play with your keywords, get yourself some ads, get yourself some forewords and get your book on the bestseller charts for the summer. But tell me—what are you currently reading? I’m currently reading “Death By Grit” from A.T. Butler. 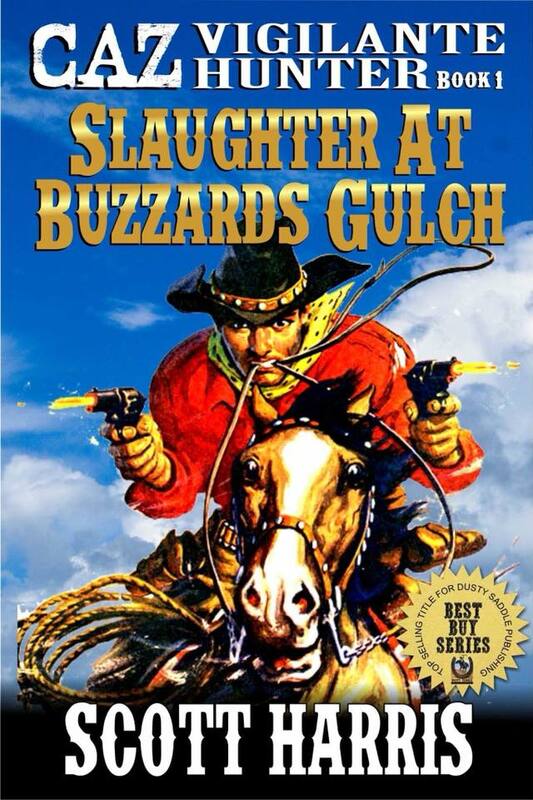 This is one of the books that make up his “Jacob Payne, Bounty Hunter” series— and it’s great. You should be seeing these books on the chart sometime soon I’d say. Never met the guy, but really enjoying his book, so go get it. Now back to work! 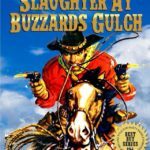 We’ve got more books to move, more Westerns a-coming! Maybe yours will be the next hit in the stack. 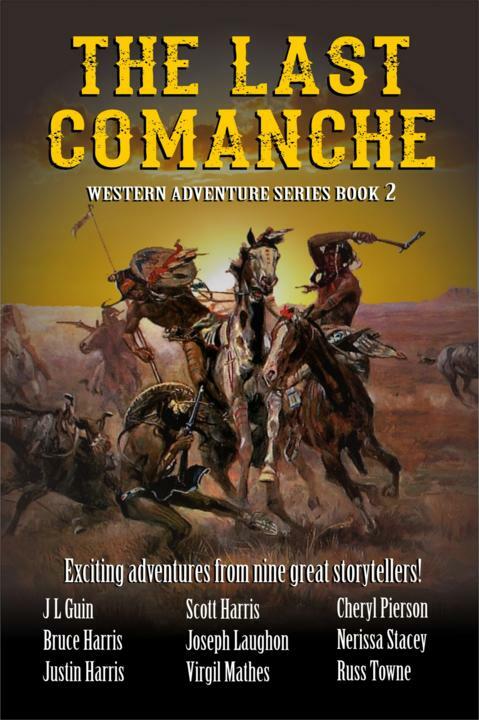 Two New Special Releases Coming Soon For Western Readers Around The World! 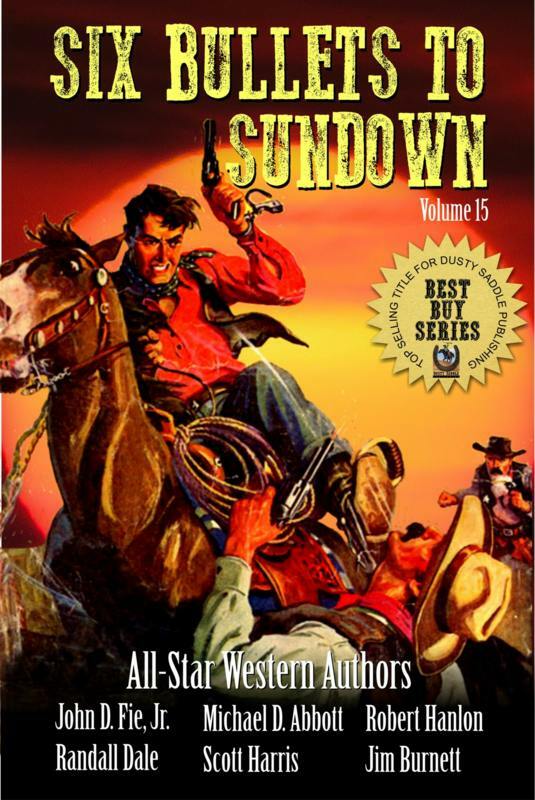 The fifteen edition of “Six Bullets To Sundown” is on the way. 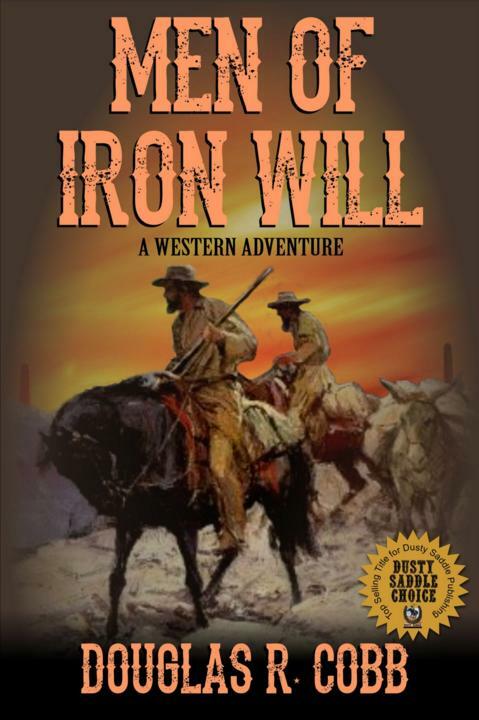 This special release will contain NEW Western stories from John D. Fie, Jr., Michael D. Abbott, Robert Hanlon, Randall Dale, Scott Harris and Jim Burnett. You won’t want to miss this one! 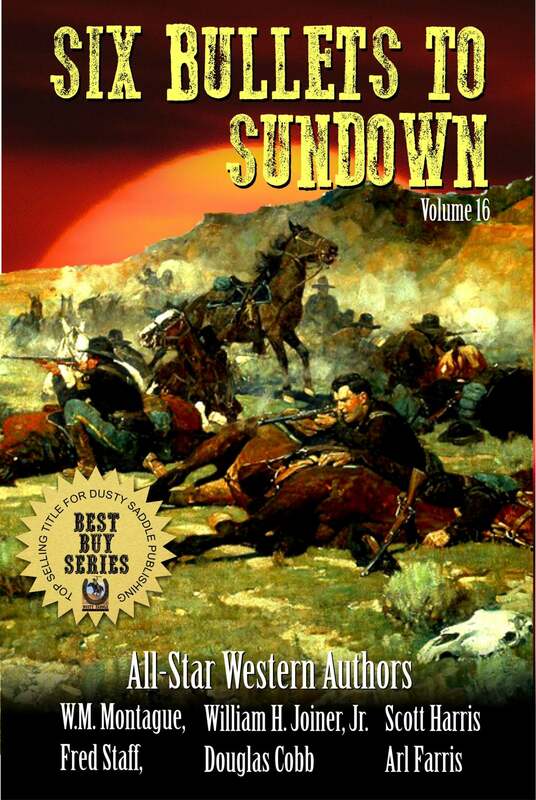 The sixteenth edition of “Six Bullets To Sundown” will contain stories from W.M. Montague, William H. Joiner, Jr., Scott Harris, Fred Staff, Douglas R. Cobb and Arl Farris. This unforgettable collection will be heading to market in April!